AKIPRESS.COM - President Emmerson Mnangagwa has won Zimbabwe's presidential election, BBCreported citing the country's electoral commission. With all 10 provinces declared, Mr Mnangagwa won 50.8% of votes to 44.3% for opposition leader Nelson Chamisa. The chairman of Mr Chamisa's MDC Alliance said the count could not be verified. 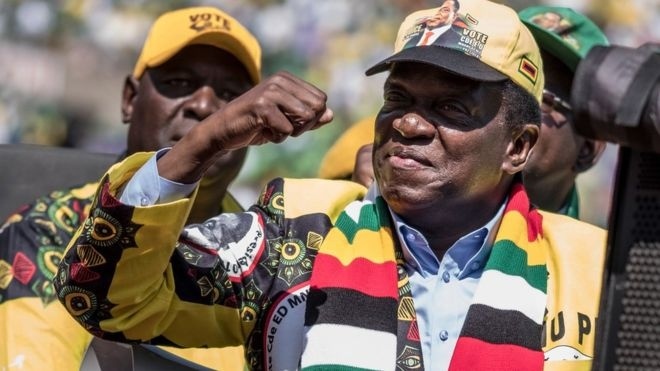 By narrowly winning more than 50% of the vote, Mr Mnangagwa avoids a second run-off election against Mr Chamisa. The president said he was "humbled" on Twitter, and called the result "a new beginning".